The Open House program on NBC featured our Hillside Square project detailing the renovation and adaptive reuse of the building. 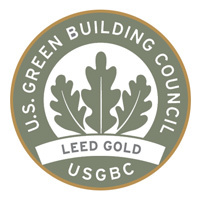 Every phase of the project, in architectural design and construction, is guided by green building guidelines to attain LEED certification from the U.S. Green Building Council. Find out how to incorporate reused, re-purposed, and reclaimed while staying stylish by contacting us.